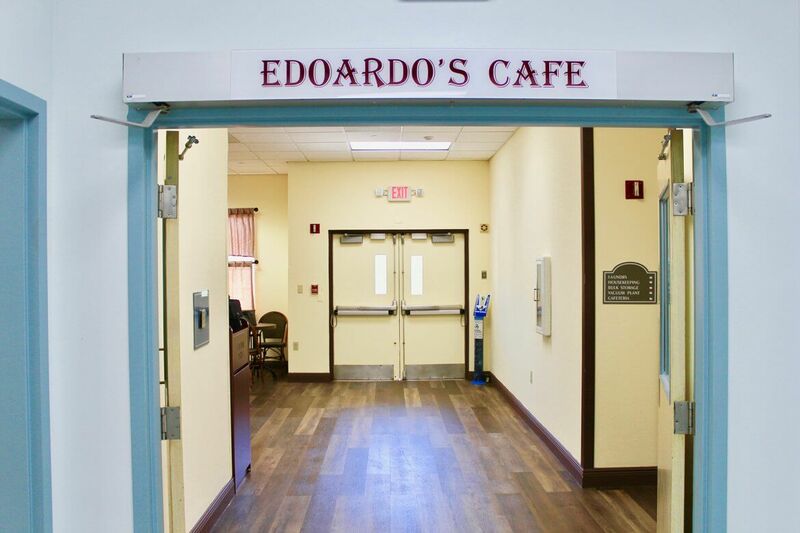 Edoardo’s Café will be offering breakfast, lunch and dinner to inpatients, visitors as well as staff. Edoardo’s Café will have a fresh daily breakfast and lunch menu that will be presented in a buffet style. Additionally, we also have an a la carte menu and snack options throughout the day including essential coffee specialties. 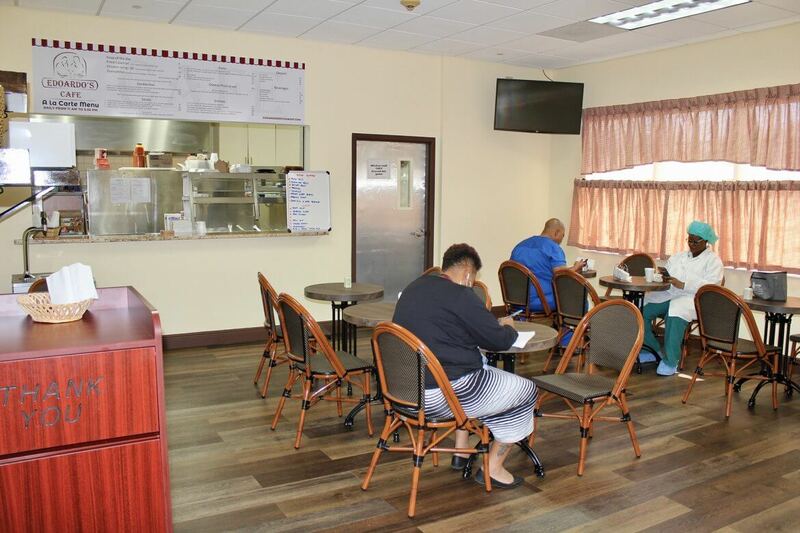 The old CTMH Doctors Hospital Café has undergone a complete remodeling and now displays a true bistro look which offers visitors to escape the daily hustle and bustle. 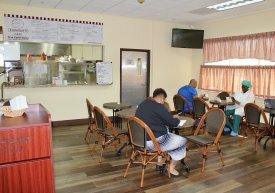 With new flooring, new furniture and a new flare; Edoardo’s Café invites you to enjoy your break, wait time or stay at CTMH Doctors Hospital. We will have a chef on site preparing meals and he is happy to take any special order even to create your favorite dish from scratch. The chef will take all your dietary restrictions into consideration when preparing your meal. You can look up the a la carte menu on the hospital’s website, information boards around the hospital and in the Café itself. 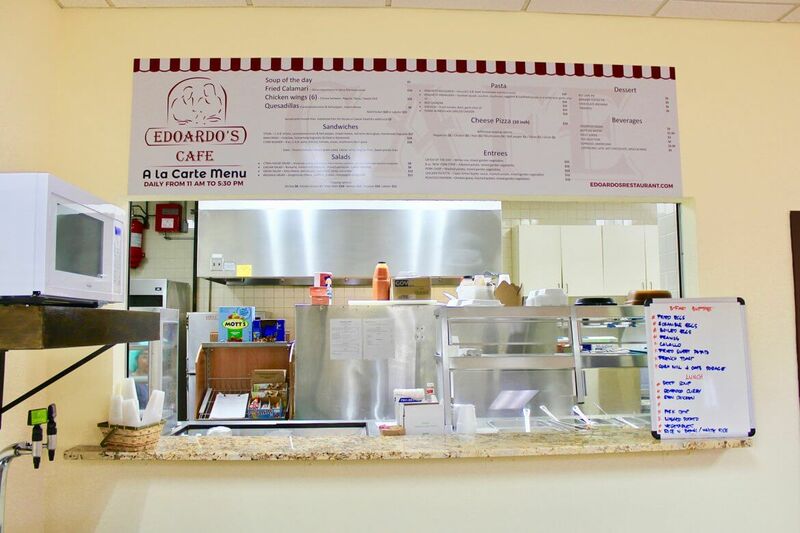 We hope this new endeavor with Edoardo’s will make our loyal friends and family’s stay even more comfortable. Call 949-6066 to learn more today or click here for more information about Edoardo’s Café.